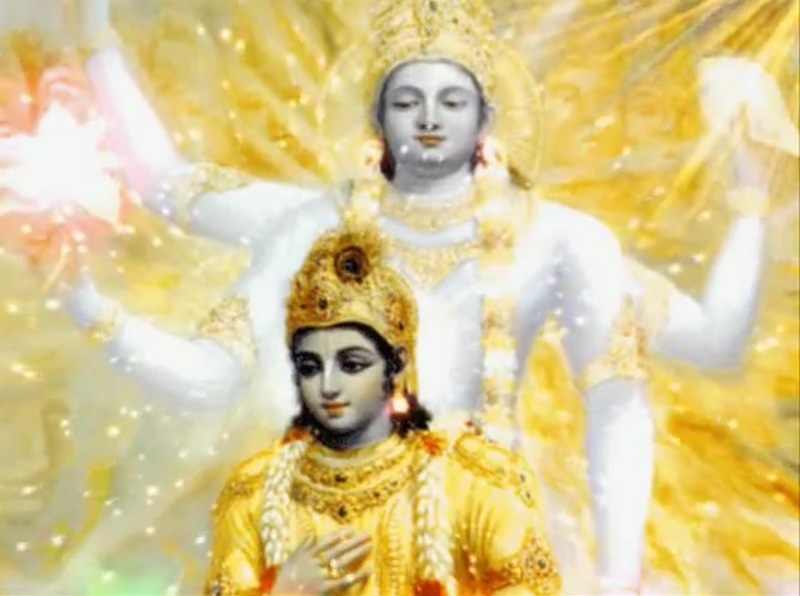 In this part we will explore the meaning of the first Shloka of Sri Vishnu Sahasranamam. Bhagavan is the Creator of the Universe and pervades everything and everywhere. He controls the Universe and He is the master of the Past, Present and the Future. He is the Creator, Sustainer and Destroyer of all beings. He exists in full splendour and is the essence of all beings and nurtures all beings. Vishvam basically means the Universe and the totality of Creation. It comes from the root word ‘Vish’ which means ‘to enter’ or ‘to penetrate’. The Universe is called Vishvam because it is all pervading. There is nothing around us that is not part of the Universe. Lord Vishnu being the underlying Cause of the Vishvam, He is Himself termed as Vishvam. In the words of Sri Adi Sankara ‘Vishvasya Jagatah Kaaranatvena Vishvamityuchyate Bramha – Being the Cause of the Universe, the Supreme Being is also referred to as the Universe’. Vishvam also means everywhere. Purushasuktam says of the Lord ‘Sa Bhoomim Vishvato Vritvaa Atyatishttaddashaangulam – He permeates the world everywhere and is beyond physical measurement’. Meaning: I salute Supreme Lord Narayana, who has innumerable heads, who has eyes everywhere, who blesses the whole Universe, who embodies the Universe, and who is immortal. 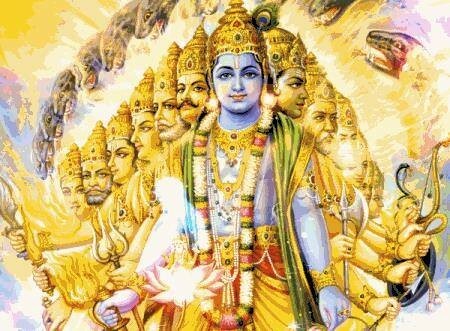 Sri Parasara Bhattar points out that it is quite fitting that the very first Nama of Vishnu suggests His immense glory, the fullness to the brim of His essential nature, form, attributes, etc., which are all natural, unexcelled, auspicious and superior. Swami ChinmayAnanda explains the Nama “Vishvam” by referring to the Vishvaroopam or Viraat Purusha. He refers to Sri Vishnu Puranam – ‘sa eva sarva bhootatma vishva roopo yato avayayaah’ – He is the Soul of all that exists, and everything is His body. Sri Satyadevo Vashishta interprets this Nama to indicate that everything in this Universe came from Him, and also everything in this Universe goes back into Him. So in both senses, He is ‘Vishvam’. Meaning: By Me, in My unmanifested form, this entire Universe is pervaded. All beings are in Me, but I am not in them. The Phalashruti mentions “Vishveshvaram Ajam Devam Jagatah Prabhumavyayam – He is the Lord of the Universe but He is Himself without an origin or an end”. Vishnu like Vishvam also comes from the root word ‘Vish’ meaning ‘to enter’ or ‘to penetrate’. Vishnu penetrates everywhere and occupies all space. He is ‘Sarva Vyapi’ and ‘Sarva Antaryami’. As Narayanasuktam puts it ‘Yaccha Kinchit Jagat Sarvam Drishyate Shrooyatepi Vaa AntarBahischa Tatsarvam Vyaapya NarayanaSthitah – Whatever part of the Universe is seen or heard, the Lord is permeating it both from inside and from outside’. He has no limitation of space, time or substance. Everything that exists in the Universe is nothing but of the nature of the Lord, and without Him nothing exists. He pervades everything, unlimited by space, time, or substance. 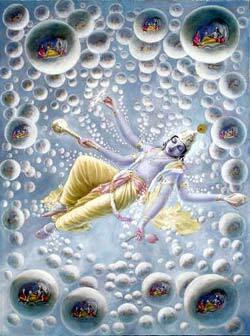 Meaning: The single Almighty all-embracing Vishnu manifests Himself into an infinite number of individual objects”. Bhagavan is Himself the Vashatkaara mantra, where Vashat is a sacred sound (similar to Pranava mantra AUM or Svaahaa etc.) used on sacrificial offerings. It is also used in the anganyaasa and karanyaaasa practice before chanting the sacred texts. Vashatkaara is thus a mantra, and Bhagavaan is the mantra embodiment. According to Sri Parasara Bhattar, Vashatkaarah is derived from the root ‘Vash’ to control. So Vashatkaarah is someone who controls the Universe as He wills. Taitriya Samhita identifies Lord Vishnu with Yagna by saying ‘Yagno Vai Vishnuh’ – Yagna is synonymous with Lord Vishnu. Vashatkarah also denotes Bhagavan’s six attributes i.e. Gnana (Knowledge), Bala (Strength), Aishvarya (Wealth), Virya (Valour), Shakti (Poise) and Tejas (Radiance). Bhoota means the past. Bhavya means the future and Bhavat means the present. Prabhuh is the master. Lord Vishnu is the master of past, present and the future. The import here is that Bhagavan is beyond the physical laws as we know them, and as such, he is above the laws and constraints of time, can be inferred from this Nama. In order for Him to be the Lord of all things past, present and the future, He existed before anything existed, exists now, and will exist forever into the future. Thus the well-known and well established physical laws that apply to all living things do not apply to Him. He is without a beginning and without an end. This Nama means that He is the Creator of all beings. 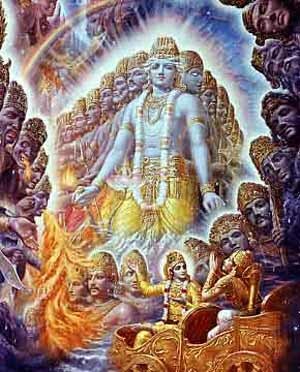 Sri Adi Sankara says Lord Vishnu assumes the form of BrahmaDeva with Rajo Guna and creates all beings of the Universe. The Nama also means the destroyer of all beings. Sankara further says that Lord Vishnu assumes the form of Rudra with Tamo Guna and destroys all beings at the appropriate time. This Nama means that He is the supporter, the bearer, the nourisher and the protector of all beings. Sri Adi Sankara says that Lord Vishnu assumes the Sattva Guna to perform the maintenance role for all beings. Sri Parasara Bhattar explains that the support He provides is like that of hub for a wheel and its spokes. If this central support does not exist, the rest of the spokes and the wheel will collapse. Thus, one can think of this support as the vital cause for the existence of all the things that He creates. He is the Atma or the Soul that is embedded in every being. All things are His body, and He is the soul of all things. 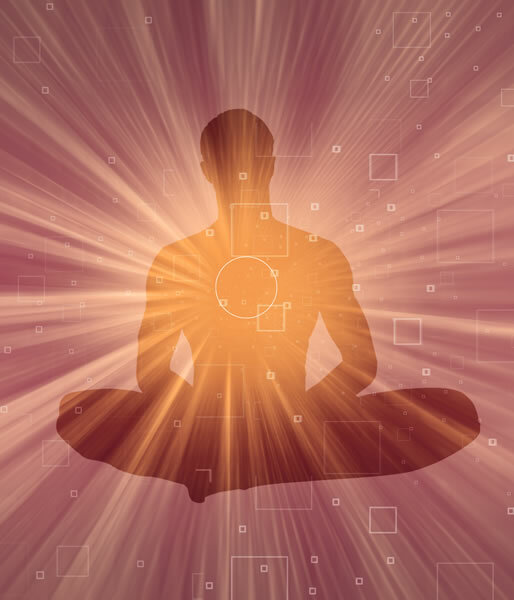 The Soul enters the bodies, and directly controls and directs all their activities. Brihadaaranyaka Upanishad says ‘Esha ta Atmantaryamyamritah- He is the nectar in the deepest recess of the Atman. One who nourishes and nurtures all beings that He created. Sri Adi Sankara says ‘Bhootaani Bhaavayati, Janayati, Vardhayati Vaa – He creates all beings and nurtures them.’ So the mere Creation is not enough; it should be followed up by nourishing them and making them grow. Bhagavan is the Creator of the Universe and both the Cause and the effect; hence He is Vishvam. He pervades everything and everywhere; He is Sarva vyapi and Sarva antaryami and hence He is Vishnuh. He controls the Universe, so He is known as Vashatkaaro. He is the Master of the Past, Present and Future, hence He is BhootaBhavyaBhavatPrabhuh. He is the Creator and Destroyer of all beings, so He is Bhootakrit. As Bhootabrit He is the sustainer of the Universe. He exists in full splendour with his many Bhaavas. He is the essence of all beings and is present within all beings, hence He is Bhootatma. As He nurtures all beings like a mother nurtures her child, He is Bhootabhavanah. Thus, the very first Shloka demonstrates Bhagavan’s complete and total command over space, time and all the beings in the Universe. The quest for spiritual search is getting more intriguing chapter by chapter. The introduction is excellent & there is an abundance of valuable material in this script & the engaging style is easier to swallow verses & other translations. Grt job! Viishnu thus is addressed the “Infinite” and the “Almighty”.Is it right. 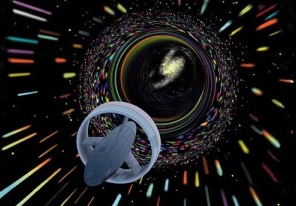 Before the exploration of the Universe by modern science/scientists, our seers have already explored the Universe. Let Divya Kataksham be blessed to enlighten our ancient wisdom to our so called rationalists by this academic service. Thank you Dr. S. Sivaramakrishnan for your blessings. Can you please give me your source for this? ‘One having long strides’ is ‘Mahaakramah’ which is name 671. The word Vishnu’s etymological base is ‘Vish’ meaning ‘to enter’/’to penetrate’/’ to pervade’. Still thanks for your interest. when the rain water drops from the clouds it is unconaminated like distilled water, but as soon as it touches the ground it becomes muddy and discoloured. similarly we are pure souls originally and are pure spirit, part and parcel of krishna ,but due to the conditional life, the living entities struggling hard to go thru the sixth sense wch is mind.. thus all living entities are part and pacel of krishna who is lord Vishnus tenth incarnation and speaking of krishna means speaking of god. Thus originally,in an uncontaminated form we all possessed a pure form as of god like. and when we come to the materialistic world we get contaminated.. Thus to purify our selves one has to follow the path of spirituality as far as possible. and try to rectify our materialistic impurities ..
Bharadwaj, I am not sure about that explanation. Vishnu denotes all pervasive and omnipresent. Vikramah or Mahakramah would relate to giant strides.